weddingsonline was launched in 2000 and has since become Ireland’s most loved wedding community, connecting brides and grooms-to-be with the perfect wedding suppliers. With our lively forums (where users are warmly referred to as ‘wollies’), online wedding directory, competitions, real weddings and daily tips and advice on everything from wedding dress trends to budget friendly decor, weddingsonline has your entire wedding journey covered. Our annual weddingsonline Awards are the industry standard and, since its inauguration in 2008, the event has become a permanent fixture in the diaries of Ireland’s wedding industry professionals and brides and grooms-to-be alike. Brides-to-be discuss every step of their wedding journey on our forums, from finding ‘the one’ (that’s the dress, not himself!) to worrying about whether it was the right choice, to what to say in their wedding vows! It is the place to get advice, to ask for suggestions, to vent and to celebrate every minute of the day with other brides-to-be. 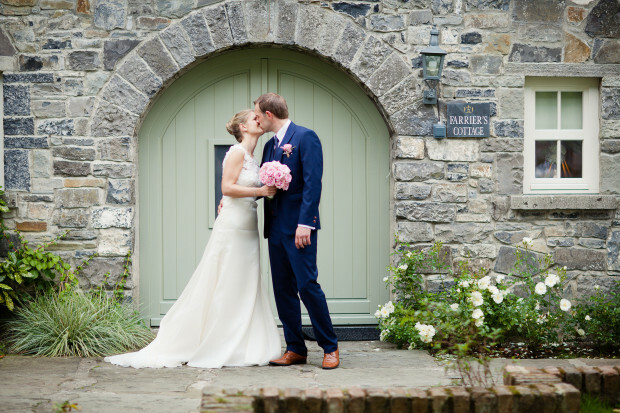 Our wedding directory houses the largest selection of wedding professionals in Ireland. Over 1000 wedding industry suppliers from wedding venues, wedding jewellers, wedding bands, wedding photographers and honeymoon providers are available for engaged couples to browse and choose from as they plan the wedding of their dreams. If planning is becoming a little overwhelming, our Sophie is here to help. Sophie connects brides and grooms-to-be with the right venue and suppliers for them, through the easy-to-use Sophie's Venue Finder and Sophie's Service Finder . The best photographers in the industry submit their most inspiring real weddings to us, with real Irish brides and grooms, real details and real feelings. They are published every week in the Real Weddings section and are always popular with brides and grooms-to-be. Our wedding blog and articles offer daily wedding inspiration and ideas for dresses, fashion, decor, mood boards, cakes and so much more to make wedding planning as enjoyable as possible. It's easy to lose track of time as you browse through the latest bridal collections, fabulous shoes and the amazing bouquets and decor we find! Brides and grooms-to-be who have signed up to weddingsonline can plan the perfect wedding in their personal mywedding section. There you'll find a handy to-do list, a very user-friendly personal wedding website and wedding tips. Our users can also bookmark their favourite suppliers and articles and do so much more in their personal wedding planning section. mywedding at weddingsonline is the only personal wedding planning section in Ireland. weddingsonline also run the popular Facebook wedding planning group ‘Help! I'm Getting Married’ (HIGM). HIGM is Ireland’s biggest and best loved wedding planning group - a community of brides and grooms that can come and chat, ask advice and gain tips from each other as well as find the best wedding suppliers for their big day.